Congratulations, you survived winter... which means it's time to give yourself a gift to celebrate. Whether you want to refresh your beauty cabinet after spring cleaning or make your life easier before summer hits, subscription boxes are one of the best ways to discover new products, remind yourself of past loves, and save money in the process. 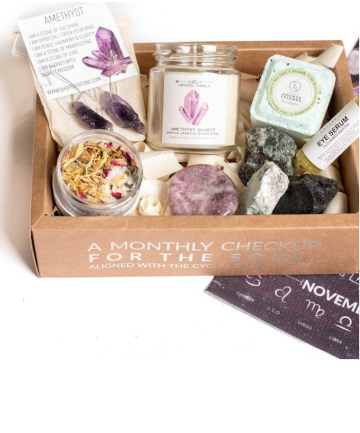 There's something for everyone (and every price point); including health-conscious meal kits, fresh beauty picks, and even monthly subscription services that'll deliver your go-to products (think: feminine hygiene products, toothpaste, and razors) to your door without any effort on your part. Seriously, what better way to kick off the season — full of longer days, warmer weather, and fresh blooms — than with an affordable box of goodies, ranging from beauty, home, tech, and more? We promise, they'll inspire you to give your body (and house!) the care it deserves.